"Used on a few occasions. Always good service." "Thank you for the 100% customer service and top products, will be back when i need more!" "Very friendly and helpful staff. Product delivered in time. Very happy with over all service offered by the company"
"Arrived quicker than expected which was fantastic, great value for money and service." "Good prices and rapid delivery, cannot fault this supplier." "Delivery was excellent with time of delivery provided. Team helpful in answering questions promptly." "We were very pleased with the samples of oils we received and it helped us to determine what finish we preferred. Really recommend you as a firm and will use again should the need arise." "Very efficient, excellent range, the first place I go to for any wood finish." "This was the first time I have used Wood Finishes Direct and I was very pleased with their efficiency." "I bought this paint from WFD as it was considerably cheaper than on Amazon from whom I normally buy the paint. The paint that was delivered had a large dent in the side and was consequently leaking profusely into the packaging. However I was pleased that WFD immediately replaced the item with an offer of 10% off the next purchase." "When I had the query about the postage, it was dealt with quickly and speedy. I'd definitely use wood-finishes-direct again. Thanks." "Great range of woodcare products, recommended items at the checkout are good quality and value. Fast delivery too. 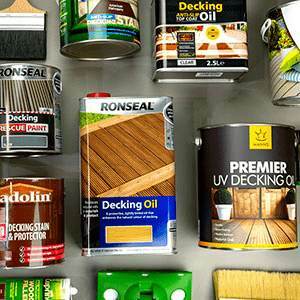 Bought from these guys fence, decking and wood floor products and will buy again without doubt." 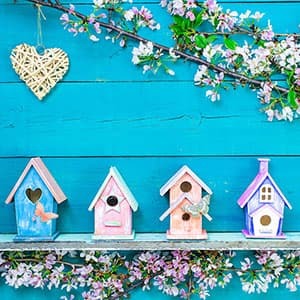 "Excellent company very helpful, when I realised I had failed to order another product, they arranged it as the same delivery but in two packages with no extra delivery charge ( 2nd order would have been under free del limit) Been really pleased with all products and their helpful website is extremely useful for a novice like myself!" "Delivery was excellent - very fast. I’d definitely buy from Wood Finishes Direct again." "Ultra quick dispatch, first class service, would most definitely use again"
"Excellent company to trade with. Good instructional videos which do help." "The service from Wood Finishes Direct has been fantastic. I can recommend this company as people you can trust. Thanks for your service guys." "Good company, quick delivery and very helpful staff. Excellent website, very easy to find everything I've needed"
"placing an order with you was simple, very good value, large colour range (compared with national DIY stores and local wholesalers), delivery was very prompt arriving as advised Thank you"
"Wide stock range of old favourites and innovative new products at fair prices, delivered on time. All good, thank you."